There’s a tangible sense of positivity in the North East business community. I hear it when I speak with business people and I feel their sense of excitement at seizing the opportunities that a more buoyant regional economy presents. Employment in the North East has risen to record levels and unemployment is falling at a rate faster than anywhere else in the UK – key ingredients in making the North East the economic success story we know it can become. Of course, there is still a long way to go to and many hurdles to be overcome. The North East LEP has its part to play in helping create the economic conditions for more and better jobs to take hold. Our Strategic Economic Plan underpins everything we do to help us achieve this. Since we launched it back in March last year, we have secured £330m from Government as part of the North East Growth Deal, helping us secure substantial private and public sector investment to deliver up to 5,000 new jobs. And we have appointed two world class business leaders to ensure we have the best people in place to help lead this change. Securing Bob Paton, Accenture’s managing director for its North East Delivery Centre, as our interim chief executive and Hans Moller as our innovation director, formerly the chief executive of Sweden’s acclaimed Ideon Science Park, is excellent news for the North East. Innovation, skills and business support are all inextricably linked in a fast growing economy. Bob and Hans have the experience, knowledge and proven track record to ensure these three pillars of our strategic plan are driven forward to benefit business. Opportunity knocks for the North East as the dust settles on the General Election result. Our region is firmly on the political radar and the appointment of Stockton South MP James Wharton as the minister responsible for the Northern Powerhouse can only be good news for our ambitions. We look forward to working with Mr Wharton, using our influence to ensure that the North East is fully included in Northern Powerhouse plans. 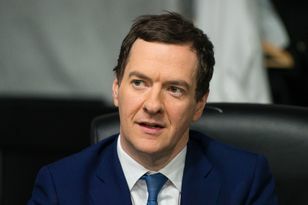 The pre-election announcement by the Chancellor George Osborne of a six-point long-term economic plan for the region to help rebalance the UK economy through the Northern Powerhouse is very welcome. Adding an extra £6bn to the North East economy in real terms by 2030, 50,000 new jobs by investing in strengths such as chemical innovation and exports and a £4.5bn investment in our transport infrastructure are bold ambitions with potentially huge prizes. The North East LEP has its role to play in helping the region reach those goals. We are clear what we need to do, how we can get there, and now is the time to build on the region’s hard work by working with our partners to deliver on our plan.